We love to sit back and enjoy some good chords, and that’s how this bow tie was born. 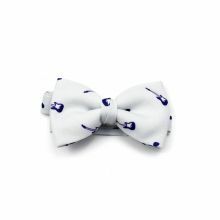 It was inspired by guitar’s greatest from the 50’s through today. 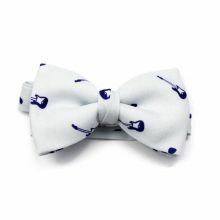 This is an elegant bow tie with a guitar and pick print motif. Long live Rock ’n’ Roll. 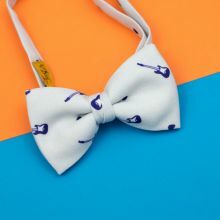 The Guitar Bow Tie was designed by Colton Foster for the Music line and was created with our 100% polyester Burlington fabric to give it a casual look.